We all know targeted banner advertising can be profitable and have high ROI if well managed. The management here entails targeting the right audience. Many brands used banner advertising and known as display advertising to generate unique and highly targeted traffic that converts their visitors to customers. E-Commerce giants like Amazon, eBay are typical examples of brands that benefited massively from banner advertising. The trick here is simply targeting the right audience. Display advertising can do wonders for brands. Most of the big brands mentioned above are the ones that took advantage of banner advertising at the right time and invested strategically in it. The trend has changed dramatically compared to the early 90s. It, however, become more competitive which means, advertisers need to be smart in their targeting efforts and general display advertising. 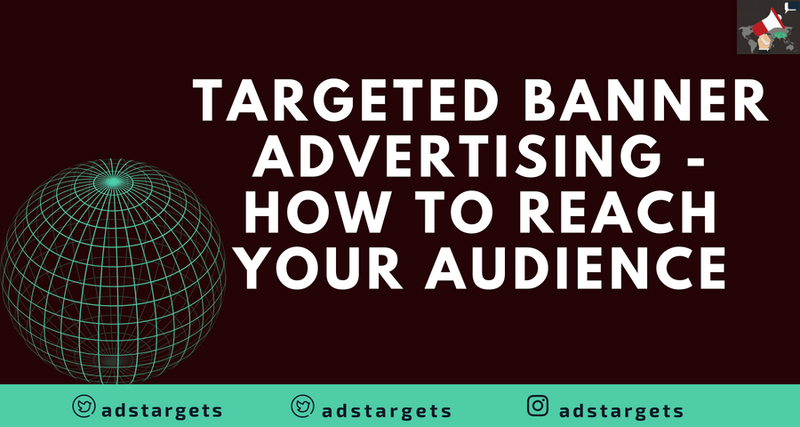 In this article, we are going to work you through what is targeted banner advertising and targeted display advertising, then show you various ways you can target your audience using the targeted banner and display advertising methods to reach your audience. 1. What is Targeted Banner Advertising? As the title implies, targeted means channelling your banner Ads to reach only the right audience, by using variables such as demographics (Age, gender, location, race, education status, marital status and language among others). Their online interest and behaviour online are as well utilized. More often, this information is collected by using tools such as Google Analytics or Facebook Pixel which track this information after initial testing Ads. Other methods include Facebook Audience Insights. 2. What is Targeted Display Advertising? Just like Targeted banner advertising, Targeted display advertising, on the other hand, targeted display advertising involves the use of banners that come in forms of GIF, Static images and HTMLS. This form of digital advertising also targets audience based on their demographics similar to the above listed. audience behaviour and interest is also a criterion. However, this form of advertising is charged mostly on CPM bases and not by Cost per click (CPC) or Pay per click (PPC) methods. Having understood what these advertising methods are, let’s jump into the best ways you can reach your target audience using those two methods. Note: the below methods represents the above two explained methods. Keywords targeting is one of the most used methods of targeting an audience in digital marketing. most marketers see keywords as the best tactics to target audience because of its track records. Relevant keywords give an insight into how specific web content will be aligned with your campaign. This also suggests if the audience interacting with such web pages will likely be interested in your Ads. Let’s say, for instance, it is obvious that, advertising T-shirt on a fashion Blog will likely result to conversions, more sales because most of the audience visiting that blog will be interested in buying T-shirts. 4. How can I use the Topic to target my audience? Choosing a specific topic tells Ad Network to show you ads to web pages that are related to your niche. Again let’s use the example of T-shirt and Google, when you chose your topic right, Google Adsense will only deliver your banner ads or display ad to only quality websites, or Blogs that are relates to your chosen topic. Ad placement using Google gives you the flexibility to choose groups of websites, which have already reserved spaces on waiting to show your Ads to a targeted audience. You have the opportunity to manually chose where your banner ads should appear on specific groups of websites/Blogs to reach your target audience. This is similar to targeting by topic but gives you more flexibility to choose from various categories. this gives you the ability to reach a more targeted audience that has been selected by Ad preference manager. the advance here is, it allows you to sell more as you reach more people. In simple terms, this is a process of targeting a specific audience based on their geographical location. Terms like Geo-Fencing are similar but a bit different as it does target audience based on their physical visits, monuments, tourist locations, natural reserve sites or simply to specific city evens or visits to competitors stores or businesses. it’s a great way to target an audience as you already know what their interests and it’s mostly used in targeted display advertising. Another geo-targeting banner advertising method is Geo-Optimization. This gives the advertiser the opportunity to show banner Ads to the audience in a geographical area using their ZIP code, county, city, state etc). however, this method is best for promotional events and with a broader audience. It allows the advertiser to choose devices of their choice to display ads across. Just like keywords targeting, this another form of remarketing that allows the advertiser to display banner Ads to an audience that search for particular keyword phrases. This practice is commonly used to target those audience based on search volumes on certain keywords and how relevant they are to the campaign. This is another effective way of converting your visitors into customers. You can use this strategy to target visitors that abandoned your cart to buy by showing different Ads. This type of Ads could come with a discount that will trigger their emotions and enable them to take action. This is also known as site retargeting because the practice is similar. You basically use the data you collect from your visitors, analyze it and target specific visitors that didn’t take action. This gives you the opportunity to targets a specific group of websites and avoids showing Ads on other specific websites. the white-listing here involves including those websites you wish to show your Ads on. On the other hand, Black-listing involves listing a list of websites you don’t want to show your Ads on. This can be done by because of few reasons, one is that you don’t want the content on those sites or their geographical location and second, you simply don’t want to associate with such brands. Now that you have an understanding of how to target your banner campaigns, you need to make the right choice when it comes to choosing the right banner ad networks for advertisers. This will have have a great impact on how your banner advertising result. 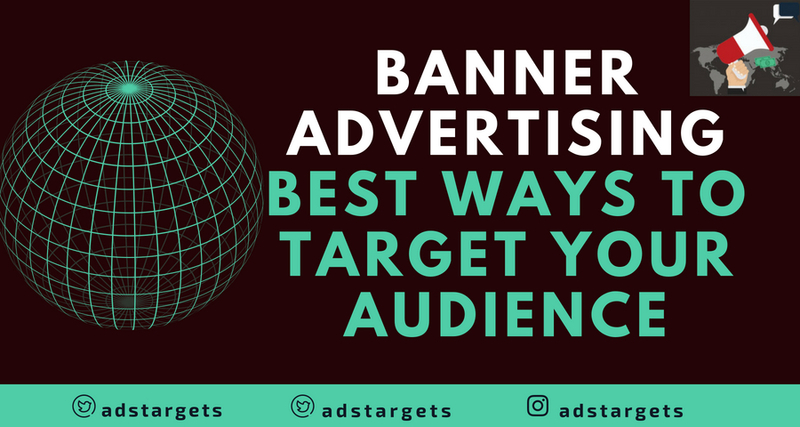 Our recommendation here is to try out our hassle-free banner advertising ad network meant for cheap and effective targeted banner advertising. Compare among banner ad networks for advertisers and see which one has the potential of delivering your banner ads to the right audience and a large amount of them. This will also have a huge impact on how your brand is exposed to a wider audience. Also, you need to make sure your choice of an Ad network is cheap and effective and not so expensive so you can maximize your Ad budget to give you the best results. We would have touched on the cost of banner advertising but decided to leave that for the next post. however, we want you all to profit from display advertising as much as possible. This is because the opportunities are endless. We believe all the above methods listed above will contribute massively to making you display advertising a success. If you have been doing digital marketing and have some good experience with banner advertising, please let us know in the comment section. likewise, some of you that are just starting out.